Kalamazoo Mud Run This 5k race and kids run will feature extreme obstacles and tons of mud. Proceeds will support Operation Starfish and their efforts to build 50 wells in 50 villages in Africa in 5 years. A portion of the proceed will also go to Kalamazoo Loaves and Fishes to support those in need in our community. Shoes will be collected for donation to those who don't have them. 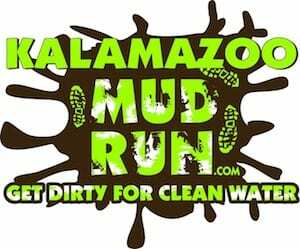 No reviews yet for Kalamazoo Michigan Kalamazoo Mud Run 2019. Click here to be the first! A 5K race on 70 Acres that challenges you and gets you muddy, tired and have fun with your friends! Spectators are Free, come on out! Lots of parking at Comstock HS, 5 minute walk to starting line. Get Dirty for Clean Water! We partner with LifeWater International to provide clean drinking water and education and also work with local ministries to provide food and clothing to the needy and underserved. Team event - bring out your friends! We take the total time and divide by the number of team members to get the team average time. Please see our obstacle course race discount & promotion page for all the latest discounts, promos, promotions, discount codes, and coupon codes for Kalamazoo Michigan Kalamazoo Mud Run 2019. There also may be one listed at the top of this page.